I am one of the 84%, a teacher at a secondary school in Sheffield and a father to a very aware two-year-old. 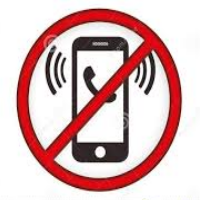 I am not however in line with our French counterparts or culture secretary Mr Hancock who have previously called for a mobile phone ban in schools. To take them away would be akin to a form of cultural cleansing. It would also be exceptionally hard to enforce and could potentially alienate student/teacher or adult/youth relationships further; relationships which if nurtured well can be the keystone to influencing a positive use of social media. Often it is easy to forget the onslaught of 24/7 social media and the effects it can have on young minds. They can’t leave ‘it’ in the classroom and when they go home ‘it’ is always with them. Even if they do choose to turn off their phones, this can often cause greater anxiety about what they might be missing out on. A cultural characteristic that I managed to avoid whilst at school, due to its limited existence. There is limited, if any, education or training given to young people about how to actually ‘switch off’. The DofE findings also show 73% of teachers are concerned that not enough life skills are being taught in school, which should arguably include social media use. Creating spaces where phones and social media are not in use is vital to the development of young people. It’s important that we provide them with the skills they need to ‘switch off’, the resilience they need to be less worried about group chats or the confidence they need to maintain a fluid conversation without a phone.